This describes water that has high concentrations of magnesium and calcium particles in it. These particles are not particularly harmful for you or your pets to ingest, but they can do things like make your clothes fade faster in the washing machine, make your hair brittle after a shower, and make your dishes come out of the dishwasher all spotted. The real danger, however, of hard water is the threat to your plumbing system. 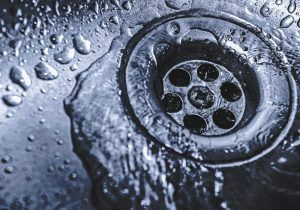 Years of exposure to hard water takes its toll—the walls of the pipe will start accumulating mineral deposits, known most commonly as limescale. So, why should you worry about limescale growing in your home’s plumbing system? Well, the more limescale builds up, the more it restricts the flow of water through your pipes. This decreases the water pressure in your plumbing system, making it difficult for the system to work as effectively as possible. Worse, if the limescale isn’t caught and removed in a timely manner it will eventually harden. This makes it nearly impossible to remove the scale without damaging the pipe it’s attached to. If you want to truly protect your plumbing system from hard water and the limescale it creates, you’ll need to take preventive measures. As we alluded to above, the best way to address hard water is to have a whole-house water softener installed in your home’s water line. This system is a type of water treatment system developed specifically to combat hard water. There are a number of different types of water softeners, but they all work along the same principle—they neutralize the magnesium and calcium particles in the water, “softening” that water. If you’re not sure whether or not your home suffers from the effects of hard water, there are a few ways you can spot the signs. Look around your faucets, and your bathtub and shower drain—do you see any chalky, white substance? That is limescale, and if you notice it in those areas you can make a safe bet that it’s in your pipes, too. Another indicator to watch for is reduced water pressure, but the truly best way to check for hard water is to contact a professional and have your water tested. Call BZ Dependable Plumbing & Heating Inc. today for quality service and guaranteed satisfaction.